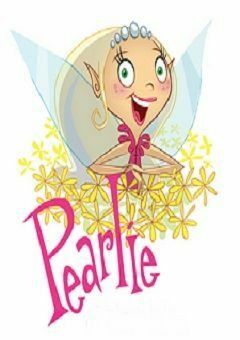 Pearlie is a park fairy appointed by Fairy Headquarters to keep Jubilee Park in order. She is full of over-the-top plans for parties and events for the park and its residents, and as she puts it, “everything has to be perfect” for whatever it is she’s planning. She is assisted by Jasper, an elf who prefers to not do any real work. There is also Opal, an outback fairy from Australia sent to learn the ropes of park management from Pearlie. Pearlie’s cousin Sapphire is jealous of Pearlie’s popularity in the fairy world and desperately wants her to be fired. With her assistant Ludwig, a common bat, Saphira sets out to spoil perky Pearlie’s day any way she can. Pearlie remains oblivious—always thinking the best of her cousin—while Opal and Jasper are aware of Sapphire’s plans. Pearlie Episode 9 The Big Doll / Are You Being Served?